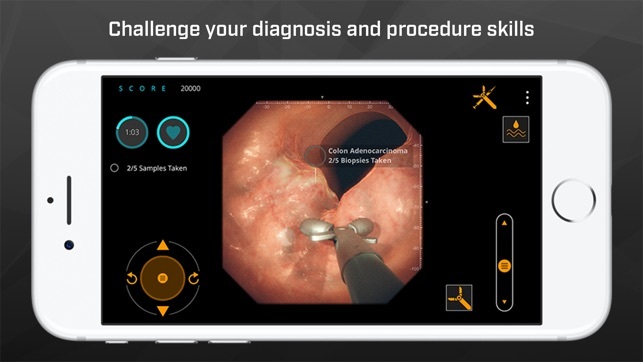 Explore diseases and conditions of the gastrointestinal (GI) tract and perform surgical procedures on virtual patients with our newest video game for medical professionals, Gastro Ex. Our fully-responsive patient anatomy allows you to perform hyper-realistic GI procedures: remove polyps using snares and forceps, treat AVMs and bleeds using APC, perform biopsies, administer injections, and much more. 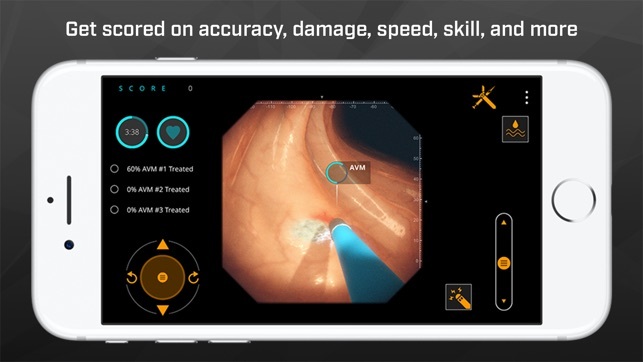 - Get scored in real time for accuracy, speed, damage, device competency, and diagnosis skills while performing endoscopic procedures in the app. 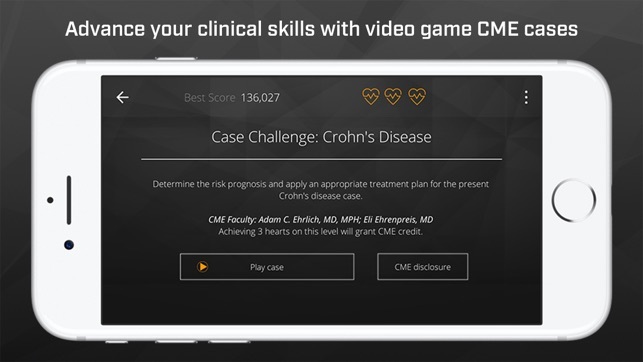 - Earn CME credits while playing this first-of-its-kind professional video game for practicing gastroenterologists. 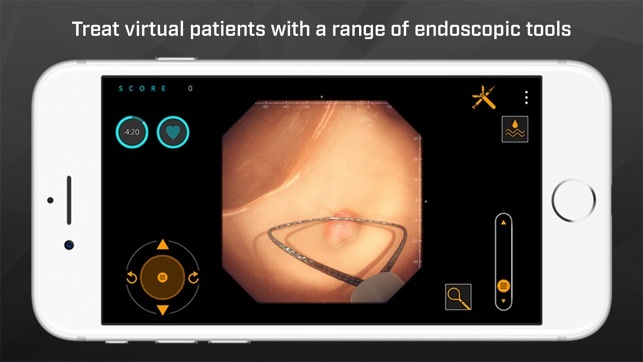 - Earn the highest score and invite colleagues to play our realistic patient cases: Atypical Angioectasias, Surprising Sigmoidoscopy, Polyp Hunt, Lurking Lesion, and more. 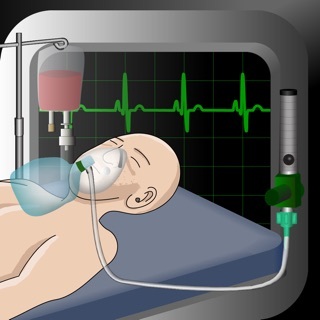 - Explore the medical cases that impact millions of adults every year through cutting-edge video game visual effects. 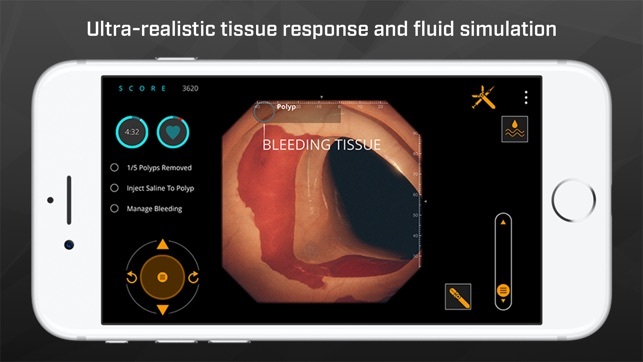 Our app provides unprecedented medical realism, enabled by the accurate simulation of human tissue dynamics, realistic scope optics, and moving fluids to recreate life-like endoscopic procedures in the GI tract. Each case is vetted by top gastroenterologists and medical experts with clinical simulation training experience from top hospitals. Gastro Ex simulates GI tract procedures that millions of adults will have in their lifetime. According to the CDC, adults 50 years and older should get screened for colorectal cancer given the increased risk in this age group. More than 90% of colorectal cancer cases occur in people aged 50 or older, yet only 50% of adults who should have colonoscopies comply with recommended guidelines. The simulations in Gastro Ex make many of these screening procedures, polyp removals, biopsies, and more readily accessible at your fingertips for advanced training. Find out more at www.gastro-ex.com. Need CME credit for 2018? Update Gastro Ex to play our latest event and meet your end-of-year CME requirements with our 2 newest cases, Abdominal Anguish: Part 2 and Radical Radiation: Part 2. More updates coming soon! Share your feedback at support@level-ex.com, and don't forget to review us in the App Store too. For more information, visit us at www.gastro-ex.com. I have had trouble playing this game. In just one day of playing it (today), it has overheated so fast that it has literally “fried” one of my phone’s speakers. I have an iPhone 7 and it was purchased less than a year ago. The game play was fun, but the fact that it causes damage to the hardware of my device I will be uninstalling it. I have read other reviews in which people have had similar experiences. In your replies to these people, you said it doesn’t or is not as likely to happen on newer iPhones. You should put a disclaimer in the apps description page stating that this type of hardware damage is possible. Otherwise, people may download this game and destroy their phones. So I downloaded this app and read some reviews saying there was an overheating issue, I of course kept those in mind and hoped severely that it wouldn’t happen to me. Of course, I was wrong. My phone got to the point where it felt like an electric blanket on it’s maximum setting and I hope that nothing was damaged. I quickly deleted the app and thankfully the heat subsided as quickly as it came and so far nothing else has come up. Let me make it clear that I only completed THE FIRST TWO MISSIONS BEFORE THIS ISSUE OCCURRED!!!! Please for the love of god fix this, I have only experienced this app for 3 minutes and I already love it. Very awesome app but horrific optimization. Wesley, thank you for letting us know. Generally, this should not be an issue for newer devices. We are glad you enjoyed the app otherwise and are actively working to solve this for you and others.